Oh no, poor baby does not like getting all wet! Somebody give the storm kerubi a little umbrella or build it a nice little yurt and tell it everything is going to be ok.
Symba the Storm Archan has won the Pet Spotlight! Make sure to keep warm when dealing with the Cash Shop’s latest bone garden! Some creative treats for you to make while you wait to restock something from the Blackheart Hollow. 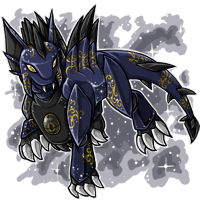 Arion the Galactic Cadogre has won the Pet Spotlight! The Arctic Chance Machine is back in the Cash Shop with some additional old winter themed items! Shahin the Common Experiment #870 has won the Pet Spotlight! This weekend is bonus weekend for the Cash Shop! If you buy Cash Shop Credits this weekend with Braintree/Paypal (Garnet Oak Branch Trinket) or Stripe (Garnet Wolf Teeth Charm), you'll get one of these awesome items plus 20% bonus credits on top of your purchase. The bonus weekend will end at 11:59pm on Tuesday! 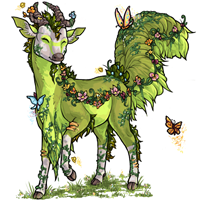 Iracema the Glade Neela has won the Pet Spotlight! 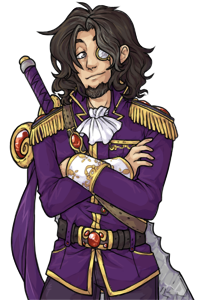 Saggitarius is the weekend quest! Do those quests for increased prizes and special rewards! Keep an eye out for half eaten sandwiches when you take a dip in the Bathhouse Pools! Kalua the Glacier Jollin has won the Pet Spotlight! Show our UAs some love by... kidnapping one? 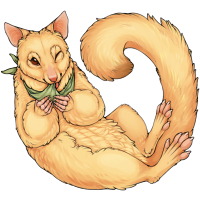 Maceo the Custom Chibi Wyllop has won the Pet Spotlight! What a weird lookin' horse. 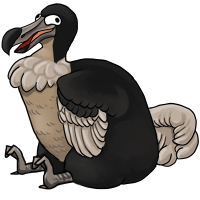 Dodo Bird the Custom Common Fester has won the Pet Spotlight!